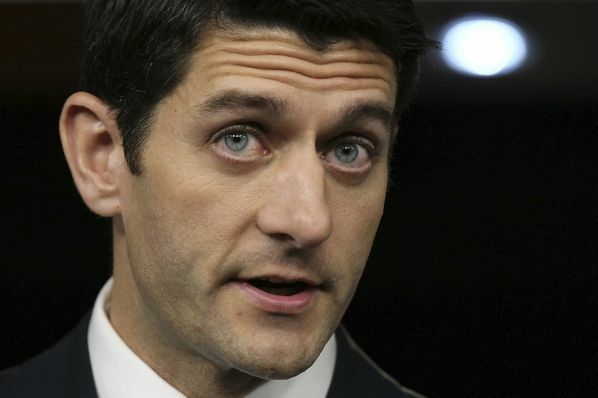 House Speaker Paul Ryan unveiled an alternative to ObamaCare this week. The ideas in it aren’t exactly new, but conservatives should use a new argument to advocate for it: Anyone concerned about social justice and economic opportunity should support this plan. The plan — among other changes — takes steps to equalize the tax treatment of employer-provided insurance plans and plans that individuals buy on their own. The status quo system favors Americans with good, full-time jobs who are more likely to have access to employer health plans than other Americans and benefits the highest earners the most, because it offers an unlimited tax exclusion on health benefits from taxable income. On the other hand, Americans who are unemployed, work part-time, or work in the so-called “gig economy” are at a disadvantage, because they must use after-tax dollars to buy health insurance. This even makes many people feel trapped in their current jobs because the fear of losing their on-the-job health plan is so great. The status quo needs to change, and Ryan’s plan attempts to do this. He would cap the tax exclusion on employer plans and offer a universal, refundable tax credit to those who buy insurance on their own. This is a more equitable way forward. Why aren’t more Democrats behind a proposal like this? Democrats favor the tax credits already available to (some) people in the ObamaCare exchanges. They might also point to ObamaCare’s “Cadillac Tax” as something similar to a cap on the tax exclusion for employer plans. Yet ObamaCare fails the “social justice” test on many measures. First, the exchanges offer plans that are so expensive – due to ObamaCare’s many mandates – that even subsidies and tax credits do not make them affordable. Secondly, someone who is lucky enough to find an ObamaCare premium he can afford often finds that his plan’s out-of-pocket costs would ultimately bankrupt him anyway. ObamaCare also ends up effectively punishing low- and middle-income earners when they get a raise, which can be discouraging for hard-working Americans trying to climb the economic ladder. Subsidies decline as income increases, which is effectively a major tax rate increase. Furthermore, many people aren’t eligible for ObamaCare’s assistance at all, including some low-income people in the coverage gap, meaning they must pay the full, unsubsidized premium or go uninsured. The ideas in Ryan’s plan are far superior. Alongside a universal tax credit (based on age, not income), Ryan’s plan would roll back many of the regulations that have made ObamaCare plans so costly. This would foster greater competition among insurance plans and allow consumers to buy just as much – or as little – insurance as they see fit. The cap on the tax exclusion is also different from the Cadillac Tax. The Cadillac Tax is very regressive: a 40-percent excise tax (regardless of income) on every dollar of health benefits above a certain threshold. The cap on the tax exclusion importantly would work differently: Each person would pay taxes on his health benefits (above the cap, which is adjusted geographically for cost of living) at his progressive income tax rate. 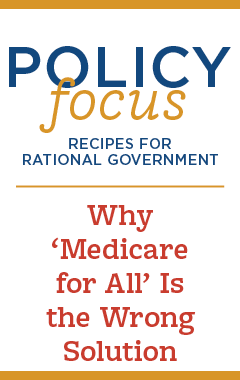 It’s time for conservatives to make it clear that their health reform ideas favor the little guy and would result in greater social justice. Paul Ryan’s plan and the long-standing conservative ideas in it would offer all Americans, especially those who’ve been at a disadvantage in the current system, more freedom to work, move, and consume health care as they choose. Now that’s something social justice warriors should get behind.